So these are todays details. I'll show you the complete outfit later today. So far I love it! Great pattern. loveee those pants! where are they from? Love the color of your nails, that's a really pretty blue. They look great! I wonder where I can get them? ¿Ya los has estrenado? Me encantan!!! 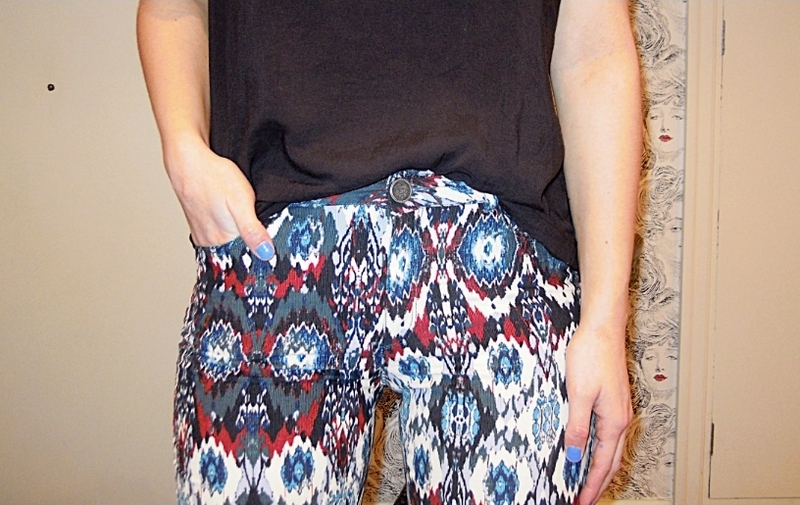 OMG I love this pants and you look very cute on it !